We recently had the pleasure of providing front-of-house service for a dinner for Jameson Whiskey at the historic Midleton Distillery in Cork. 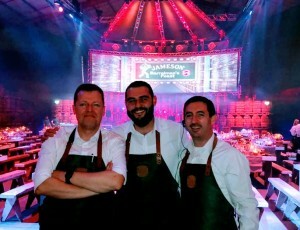 This is our second year working with Jameson at Midleton and, true to Jameson’s reputation for hospitality, their event organisation was once again second-to-none. 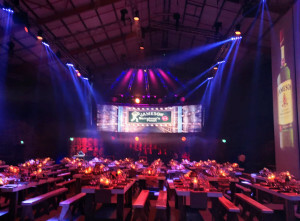 One of the distillery’s original barrel warehouses was completely transformed with state-of-the-art lighting and sound systems for the event. 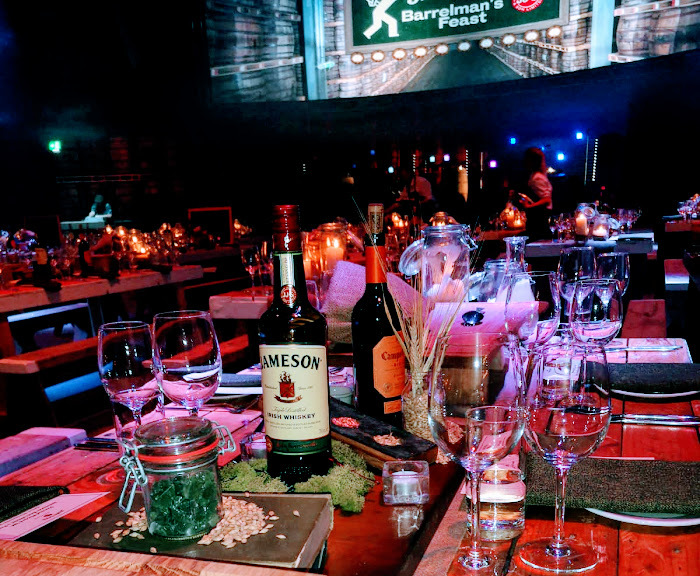 Long tables were decorated with elements from the production and bottling of Jameson Whiskey, such as barley, copper and glass. 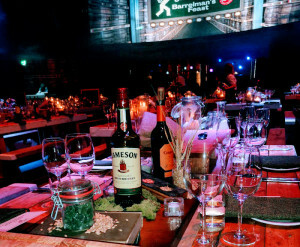 Guests arrived to be greeted with Jameson cocktails, and we served a delicious meal provided by a local caterer. After dinner, entertainment was provided by a live band, DJ and drumming group that had everyone on their feet.